The country urgently needs a national review into the provisions it makes for non-native English speakers, according to a major new report. The Casey Review, which looked at how social integration can be improved across the UK, found that community cohesion is being undermined by savage and ongoing funding cuts. Unveiled on December 6, the report, which was commissioned by former Prime Minister David Cameron, concluded that good English skills are “fundamental” to improving immigrants’ opportunities, but that course funding for English for Speakers of Other Languages has been heavily cut. “The government should support further targeted English language provision by making sufficient funding available for community-based English language classes, and through the adult skills budget for local authorities to prioritise English language where there is a need,” wrote the report’s author, Dame Louise Casey. More than 760,000 people aged 16 and above in England and Wales could not speak English well or at all, according to 2011 census data. At the same time, funding for ESOL provision has dropped by 50 per cent between 2008 and 2015. This lack of English proficiency is particularly prevalent among Muslim, Polish, Pakistani and Bangladeshi communities, while women are more likely than men to not be able to speak English well or at all. The impact of poor English language skills includes lower wages, lower community integration and less civic participation, the review found. Despite this, the review noted that funding for ESOL courses has been slashed in recent years, and identified “a significant gap in funding for pre-entry and entry level English language courses”, confirming what people who teach ESOL have been saying. 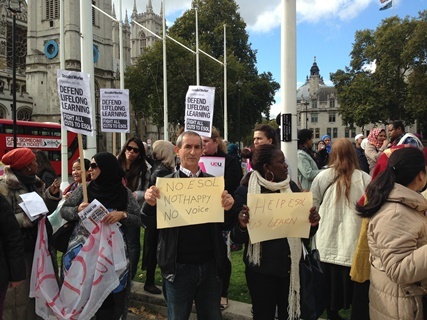 Hundreds of staff and students from a range of colleges gathered at the Houses of Parliament for a protest, which the University and College Union helped organise, against ESOL funding cuts last October. The UCU’s general secretary Sally Hunt told FE Week ESOL should now be a “top priority” for ministers. 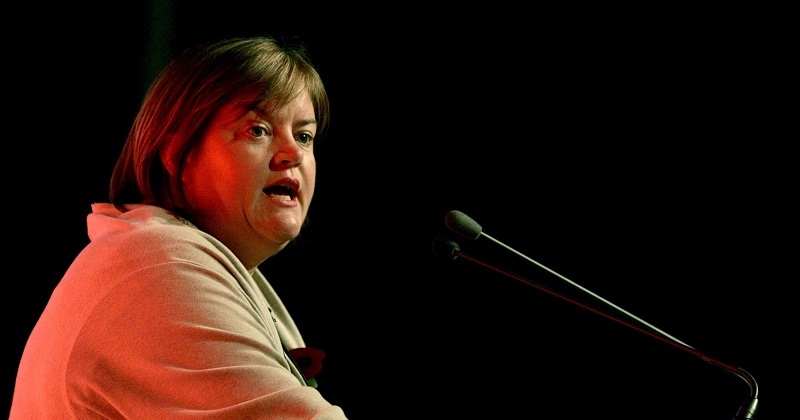 “Successive cuts to the adult skills budget have reduced the availability of ESOL, so the government must now invest properly to restore teaching capacity,” she said. Jenny Roden, co-chair of the National Association for Teaching English and other Community Languages to Adults, agreed, and argued in an exclusive expert piece that there should now be a “national review of ESOL provision”. In January the government announced a £20 million English language tuition fund, with the aim of helping Muslim women integrate into British society. But former Association of Colleges chief executive Martin Doel said at the time that these funds would not make up for previous ESOL cuts. The government has not yet responded to individual recommendations in the Casey Review.